A waiting list is now in place for new members for 2020 season, people wishing to join need to complete an application form to be submitted to the committee for consideration through Membership Secretary Geoff Mellor. 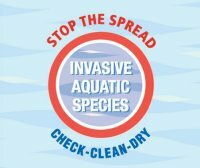 Are you unknowingly spreading invasive species on your water sports equipment and clothing? Prior to Easter 1977, there was an evening class in Fly Fishing held at Breeze Hill School, Oldham, on Monday evenings. This class was run by the Oldham Metropolitan Borough Education Department. The teacher was an experienced fly fisherman called Ivan Thomas. The students were taught fly tying, techniques for fishing the various flies, some entomology, knots and fly-casting. The charges were reasonable but the students had to find their own fishing. After that Easter, the charges by the Oldham Education Authority were to be substantially increased. The students and their teacher considered the increased charges no longer to be reasonable and they decided to form a club. Enquiries were made as to where the proposed club could meet. Ken Boulton, the Head of the Werneth Park Study Centre, indicated that the club would be welcome there. (c) Guest Speakers attend to address the Members. Many activities were arranged and included a number of notable ‘firsts’. These included the first ever profile of a fishing club in the magazine ‘Trout Fisherman’. A member, Angus Dixon, won the first ever fly dressing competition arranged by that magazine. Finally, in 1982, the Club secured a seven year lease from the North West Water Authority for the fishing rights in Piethorne Reservoir and the first ‘fly only’ trout fishery in Greater Manchester was opened on the 1st April that year. It was inevitable that the acquisition of the Club’s own fishery would cause a great increase in the number of members of the Club and that is what happened. The increase was between three and four-fold. The Club was initially called ‘The Oldham Game Fishing and Fly-Tying Club’. 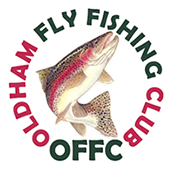 However, after we had acquired the lease to the fishing rights at Piethorne, the name was changed to the more simple: ‘The Oldham Fly Fishing Club’. In September 1993, the Club moved out of the Werneth Park Centre to various other centres. It now meets at the Springhead Liberal Club, Oldham Road, Springhead, Oldham. Since its early days, the Club has sought to make fly fishing available to others. Several fly dressing demonstrations have been given, including one in the Town Square Shopping centre in Oldham. Fly casting tuition and fly dressing tuition have been given to people who might want to take up fly fishing. The Club has run one day fly fishing courses for juniors in conjunction with the Salmon and Trout Association. There have been a number of notable guest speakers over the years who have addressed the club on various topics covering Grayling fishing, Hooks, Competition fishing, Entomology, The core components for fishing Success, to name but a few. Since 1993, a ‘Christmas’ meal out has been arranged each year although this is now better known as the Club Dinner. Those who attend them have enjoyed all these events. In 1999, the Club secured the lease of the fishing rights on Kitcliffe Reservoir. This fishery has been run as a brown trout fishery. In 2005, the Club purchased the fishing rights of approximately three-quarters of a mile single bank on the River Greta. This gave members the opportunity to fish for salmon, sea-trout and brown trout in natural conditions. It was understood that grayling are also resident. In 2015 the Club secured the lease of the fishing rights for a 900 yards stretch of the River Tame at Well-i-Hole Farm, Friezland, Greenfield giving members the opportunity to wade for wild brown trout at a local water. In 2016 the Club sold the fishing rights to the River Greta and is looking for additional venues to expand the fishing experience for members.